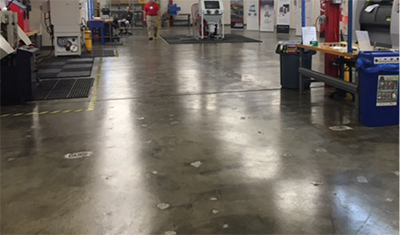 This past February, the University of Louisville (KY) opened the UL Additive Manufacturing Competency Center. A training facility for 3D printing and other advanced manufacturing techniques, the center is the result of a partnership between the university and the former Underwriters Laboratories (now called UL LLC). It offers hands-on training in multiple areas of additive manufacturing including design setup, design corrections, machine setup, parts production, post-processing, and the inspection, testing and validation of parts. Through the center, students can learn how to create metal parts and design parts with safety mechanisms built in. Students also will be able to pinpoint potential safety hazards that machines or other materials could pose. The center has been established in 15,000 sq. ft. of space and shares the building with FirstBuild, the GE Appliances/Local Motors appliance microfactory; and the J.B. Speed School of Engineering Garage, a maker space used by engineering students. In 2018, all three groups will transition into a new facility, the Institute for Product Realization, at the U of L 40-acre Belknap Engineering and Applied Sciences Research Park.